Advocacy Update: VA Secretary Confirmation Hearing, #BurnPits, #SheWhoBorneTheBattle, and More! It was another busy week in the nation’s capital as the Senate Veterans’ Affairs Committee (SVAC) held a confirmation hearing on Robert Wilkie’s nomination to be the next VA Secretary. We also continue to see a lasting impact from our Summer Storm The Hill, as IAVA’s #BurnPits legislation picked up over 20 cosponsors in the last week! 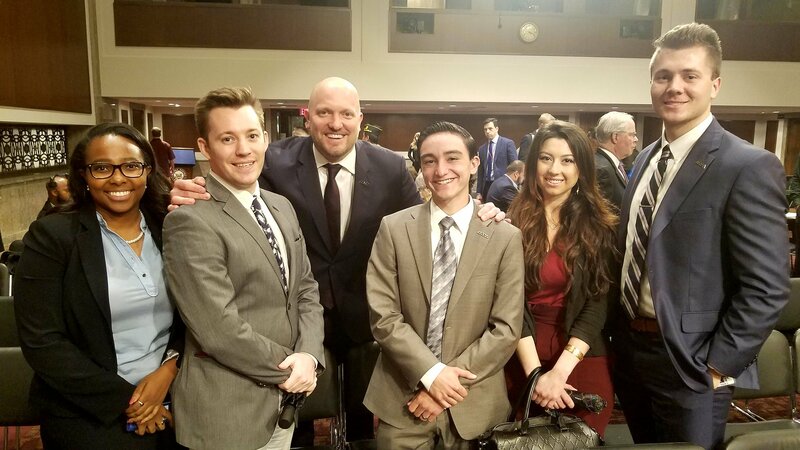 On Wednesday IAVA’s Founder and CEO Paul Rieckhoff, Legislative Director Tom Porter, and IAVA’s Policy Interns attended the SVAC confirmation hearing. While the hearing was largely uncontroversial, IAVA was disappointed that our Big Six priorities did not have a larger focus. We do want to thank Sen. Sherrod Brown (D-OH) for bringing up the critical issue of #BurnPits during the hearing. Be sure to read IAVA’s full recap of the hearing here. 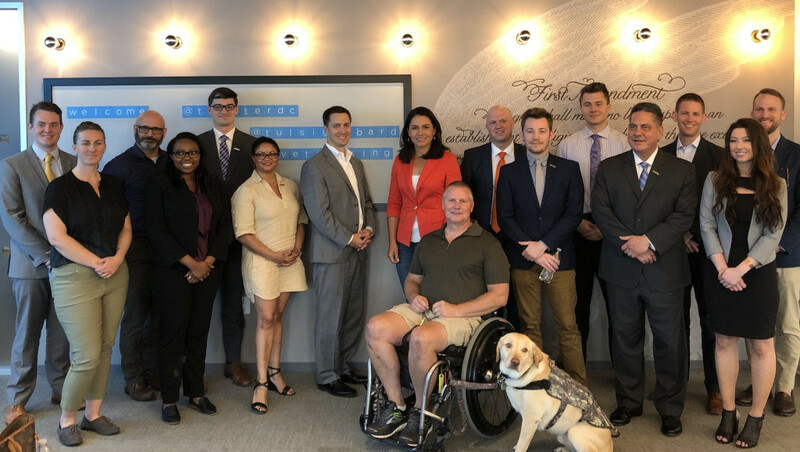 Monday of this week IAVA was proud to partner with @TwitterStripes and Rep. Tulsi Gabbard (D-HI) for a historic #VetTogether at Twitter’s DC headquarters to discuss many of the pressing issues facing veterans. Rep. Gabbard answered questions from Twitter covering many of IAVA’s Big Six priorities, including Improving Services for Women Veterans, Defending Veteran and Military Education Benefits, Supporting Injuries from Burn Pits and Toxic Exposure, and more. In case you missed it, you can watch the entire conversation here. Additionally this week, Chief Policy Officer Melissa Bryant is at the Aspen Ideas Festival after she was named a 2018 Aspen Ideas Festival Scholar! Melissa will be representing IAVA at the festival and be able to attend talks on some of the most pressing issues within our community. Congratulations Melissa on this well-deserved honor! Our #SheWhoBorneTheBattle campaign advanced, with funding for research on, and the availability of, prosthetics for female vets included in the FY 2019 funding bill for the VA which was passed Wednesday by the Senate. It is reflective of language in our Deborah Sampson Act! Within the past week, the IAVA-led #BurnPits Accountability Act (H.R. 5671) picked up an additional 22 cosponsors, for a total of 69! We want to especially thank Reps. Vicky Hartzler (R-MO), Raul Ruiz (D-CA), and Vice Ranking Member of the House Veterans’ Affairs Committee Mark Takano (D-CA), all of whom met with IAVA members during our Summer Storm The Hill and heard first hand their stories on dealing with exposure to #BurnPits. Further, another IAVA-backed Helping Veterans Exposed to Burn Pits Act, was passed by the Senate on Wednesday. The bill would create a center of excellence within the VA to better understand the health effects associated with burn pits and treat impacted vets. Stay tuned for great news in the coming days to further advance our campaign to Support Veterans Exposed to Burn Pits and Other Toxic Exposures! 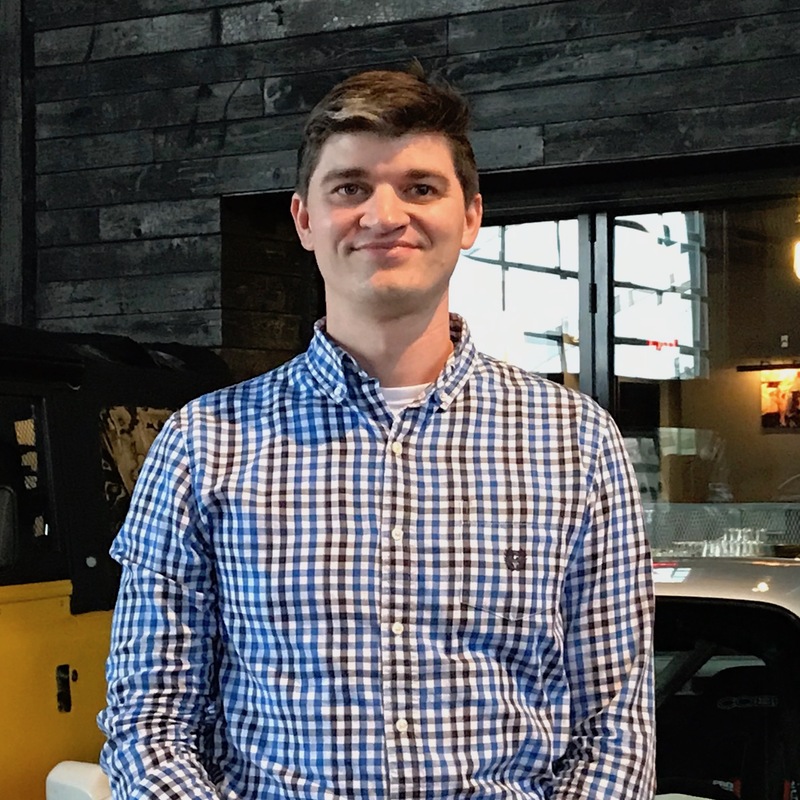 IAVA members have continued pressuring their Members of Congress to support IAVA’s Big Six priorities by sending over 400 messages to Congress in the past month. Join them and send a message to your Member of Congress by going to IAVA’s Take Action page here.